It’s a magical time we live in, as authors. We have all of these amazing tools and resources at our fingertips, to help us get our message and our books out into the world. Yet it can often be overwhelming to figure out how to use them all, and how they can all work together. In this magical time of advancing technology, the most amazing tools available are the ones that you set up once and let run, so that they continue working automatically on your behalf. This is the kind of tool that saves you from having to repeat the same action over and over to keep getting the same results. In this article, I’m going to show you how to set up a system that will automatically sell your books for you—and how all the pieces of that system work together seamlessly. Follow the steps below, and you will create something that will sell your books while you sleep. Plus, it’s a system that uses resources that many of you already have. An email list. If you don’t have this yet, check out my “Email Marketing 101 for Authors” article. A website. If you don’t have a website yet, check out my “How to Build the Ultimate Author Website” article. People are already getting too much email. Their in-box is crowded, and they’re probably not actively looking to add more to the pile. So why would they sign up for your email list? Because you’re going to give them a great incentive that they can’t refuse! So how do you provide a compelling reason for people to sign up for your email list? The simplest and best method is to create a free giveaway. Create a compelling offer—free content that can only be accessed by subscribing to your email list. But be aware that this part of the process can be a real sticking point for many authors. It’s easy to get caught up in trying to come up with the perfect giveaway, or to assume that the one you have isn’t good enough. Let your friends decide. Come up with three ideas, then ask ten to twenty people which one they’d rather have. Go with the most popular choice. Don’t give away the first chapter of your book. Well, you can—just don’t call it that. It’s not compelling enough. Name it something more compelling. Try different giveaways to see what works best. You don’t have to stick with your first idea forever. You can always offer some other free content later on. Whatever you offer people, make sure it answers the WIIFM question. The goal is to give people a compelling reason to sign up for your email list. Broadcast / Campaign – These emails are sent once to everyone on your email list at the time. So if I send out a broadcast email today, everyone who subscribed yesterday and earlier will receive that email. This is a one-time send, so those who subscribe tomorrow won’t receive it. Sequence / Automation – Automated emails are sent when a person takes a particular action on your website—they’re most often sent right after someone first subscribes to your email list. A sequence is a group of emails you set up to be sent out as soon as people subscribe. If you set it up so that one email arrives per day for three days, then when someone subscribes on a Monday, they’ll get the first email that day, then the second on Tuesday, and the third on Wednesday. 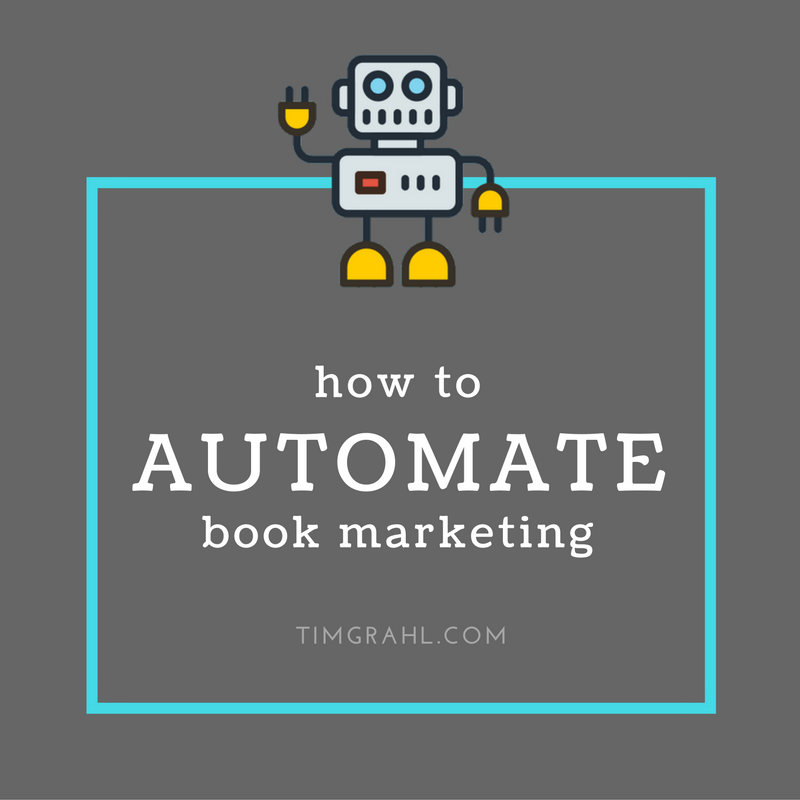 Since we are talking about automating your book marketing, we’re going to focus on that second type of email. Now it’s time for the next step. Now that we have a series of emails written, it’s time to actually get people onto your email list. Let’s start in the most logical place . . . your website. You’ve already got a website up and running, with at least a bit of traffic showing up. You probably already have people you’re connected to, on social media and in “real life”—and they should be on your email list. How do we get them on your email list? This is a popup window that shows up across your entire site, no matter what page or blog post people land on. This will start capturing the largest number of people. A great way to get blog visitors to sign up for your email list is to offer them free content just for subscribing. Offer a bonus PDF, a video, or a chapter of your book, for example, that matches the content of a particular blog post. This is an email signup form that you can put on Twitter, Facebook, your email signature, and other places, to invite friends and followers onto your email list. All of these steps are vital. Because the #1 goal for your platform is to get people on your email list. Make sure everything else—your website, Facebook, Twitter, etc.—is set up to invite people to subscribe. All right! We’ve made real progress so far! We’ve written the first three emails that your subscribers will receive, that invite them to buy your books. We’ve also got email signups on your website, popular blog posts, and all of your other online presences. But we have to hook those two together. We want to make sure that when people subscribe to one of the forms, they automatically get those emails. Awesome. We’ve got new visitors to our website signing up for our email list. Perfect! But what about people who are already subscribed? How can we get them to help us reach more people? If our #1 goal is to get them on our email list, and our #2 goal is to get them to buy a book, what’s our #3 goal? We want everyone who is already subscribed to our email list to start sharing our content with their network. In order to do this, we’re going to use an awesome tool called SumoMe. It makes it extremely easy to add share buttons to your website, and it only takes about three minutes. So now if someone comes to our website who is already on our email list, we’ve made it really easy for them to share our content—to spread the word about our site and our books—with other people. We’ve now connected all of the pieces of the system. How does this help me sell my books in my sleep? How can I keep improving this system, so it works even better? 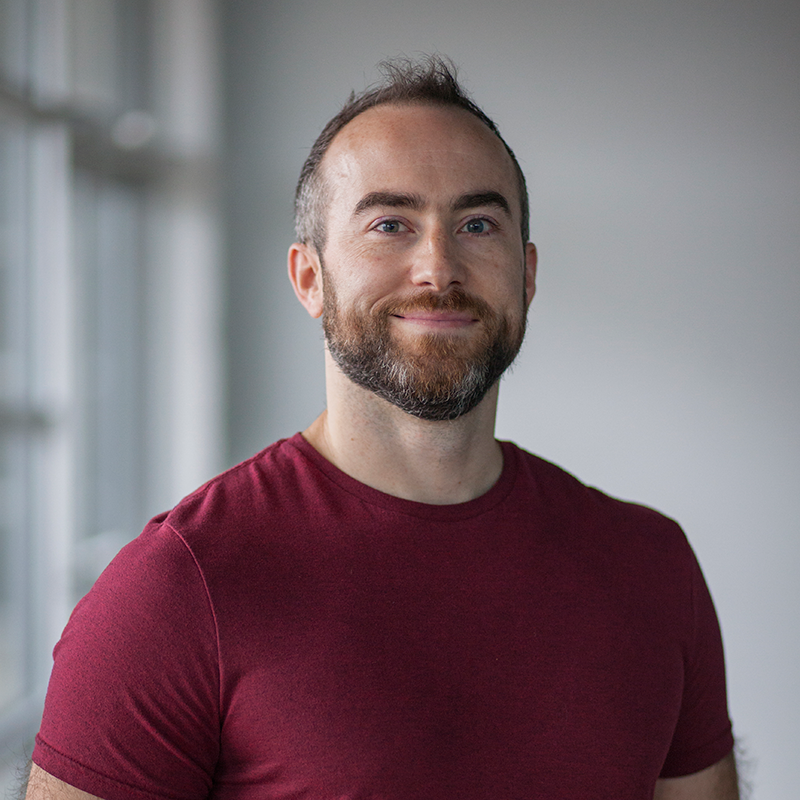 THIS is how you use the magic of the internet to build your platform, connect with readers, and sell more books!